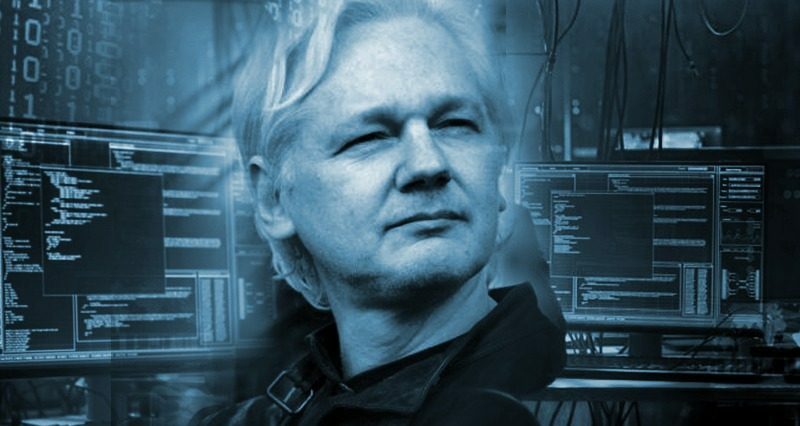 On April 11, 2019, Wikileaks co-founder and editor Julian Assange was imprisoned. After his Ecuadorian citizenship being annulled, he was arrested inside the South American country’s embassy in London where he had lived for 7 years. His next court date is set to take place on May 2. While the US has requested Assange’s extradition, his fate is still unknown. Given the length of time between the leaks and Assange’s arrest, UWI feels the timing is right for a review of some of the organization’s most important revelations. On July 26, 2010, Wikileaks revealed a massive amount of secret documents leaked from the Pentagon, including 75,000 from wartime which gave detailed information on combat operations, terrorist attacks and accidents accompanying the war efforts. The confidential information contained in the documents made it possible to assess the depth of the US’ army’s tactical inconsistency, betrayals and crimes with revelations that shocked the world community. One of the conclusions to be drawn from the archive was the media’s obvious underestimation of the scale of civilian casualties. Among the “collateral damage” a particularly large role was played by airstrikes. Another significant cause of death among civilians was army personnel erroneously identifying them as suicide bombers. The cultural norms and methods of expression among the Afghan population are often perceived by coalition soldiers as signs of hostility, which can easily lead to conflict and even armed confrontations. In cases like these, victims, according to WikiLeaks, are all but unavoidable. A tragic example of this kind of deadly miscommunication was the 2008 shelling of a school bus by French troops, which resulted in 8 children being injured. In the course of their investigations, Wikileaks employees learned of a series of unsuccessful and poorly coordinated tactical maneuvers during operations to capture Taliban militants by US special forces. Instead of capturing their targets, the soldiers of this unit chose to massacre them on the spot, a decision which left several civilians dead. Most noteworthy was an operation carried out in 2007 aimed at capturing a Taliban regional leader hiding in a Madrasa. The botched capture effort left seven children dead alongside six militants. Documents published on October 23 cover the period from January 1, 2004, to December 31, 2009. During this time, according to WikiLeaks, 109,032 people were killed in Iraq, not counting the battle-related losses of coalition forces. Of these deaths, almost 24,000 were enemy militants. More than 15,000 losses came from among the Iraqi military and the security forces who fought for the US-led coalition. Among these deaths, more than 3,700 were chalked up to friendly fire. The remaining 66,000 (almost two-thirds of the total number of those killed) came from the civilian population. According to Wikileaks’ documents, a significant number of civilians were killed by the US military (there were several references to civilians being shot from helicopters) and mercenaries – employees of private security companies who were entrusted with the protection of military and civilian facilities. At the same time, the Iraq Body Count organization, which attempts to conduct an independent count of the victims of the war Iraq, used media resources to estimate that around 15,000 people’s deaths were totally unknown before Wikileaks publications. The Dossier also detailed the use of torture by coalition forces in Iraq. The Pentagon’s classified secret materials revealed more than 1,300 references by the American military to incidents of violence by Iraqi security forces against captured enemies. It covers a wide variety of incidents – from beatings and sexual violence to extrajudicial executions, which Americans regularly witnessed in Iraqi bases, police stations and prisons. At the same time, as a rule, no investigations were conducted regarding the actions of the Iraqi security officials. Moreover, the journalists cite a special order from American command in 2004, according to which the military was ordered not to initiate proceedings unless US personnel were directly involved in torture. While order FRAGO039 issued a year later prescribed reporting incidents of violence, it reiterated directions not to conduct investigations. Wikileaks also revealed secret programs developed by the CIA aimed at domestic surveillance. One project called operation CouchPotato can intercept video streams in real time and record them. A similar instrument is their so-called ‘Dumbo tool,’ through which US intelligence can monitor input on webcams and over microphones. In July 2017, Wikileaks published a dossier called VAULT 7 which included more than 8,700 documents and files stored in the isolated internal network of the center for cyber intelligence, based at the headquarters of the CIA in Langley, Virginia. The documents were related to a CIA project called ‘Highrise’, which details an Android app that allows the user to intercept and redirect SMS messages, creating secret communication channels where the intercepted information is stored. The CIA’s ELSA program monitors the geolocation of devices and allows agents to receive information about the location if the devices are within the access zone of a Wi-Fi point. The special feature of ELSA is that the received data is not transmitted to CIA servers, but is read from the device using other tools that are at the disposal of the agency. In October 2016, during the presidential race, WikiLeaks published a series of documents with more than 10,000 letters, mainly between former White House Chief of Staff John Podesta and various Clinton advisers. WikiLeaks highlighted the double standards in Clinton family foreign policy: in 2014, the then-Secretary of State accused the governments of Saudi Arabia and Qatar of sponsoring terrorism, despite the fact that in 2012, her husband Bill Clinton received $1 million from Qatar for a five-minute meeting. In a letter dated August 19, 2014, Hillary Clinton wrote to Podesta regarding US military plans against ISIS. “As this military operation progresses, we must use our diplomatic and more traditional intelligence forces to put pressure on Qatar and Saudi Arabia, which secretly provide financial and logistical support to the IS and other radical Sunni groups in the region,” Clinton wrote. These accusations are particularly noteworthy against the backdrop of a letter from 2012 sent by Clinton’s advisor on international politics, Amitabh Desai. In a brief report on his meeting with the ambassadors of several countries, Desai also mentions Bill’s short but lucrative meeting with the Qataris. The leaks also exposed Hillary’s electronic correspondence with journalists from a number of leading American media outlets, implying that the editors of newspapers and television channels consciously covered Clinton’s campaign in a favorable light. For example, a New York Times correspondent allegedly sent Clinton the text of an interview in advance, giving the candidate the opportunity to edit her remarks. Having received the corrected version, the journalist responded that he would like to return some quotations that would be interesting to the reader to the final version of the article. However, the Clinton team insisted on an abbreviated text that did not include conflicting remarks. One of the letters revealed that a CNN correspondent had warned Hillary Clinton in advance about questions from viewers which may have been hard for the candidate to answer on the fly. The “dangerous” topics included a question on the death penalty. Included among the leak were instructions for military personnel at the American military prison in Guantanamo, which held suspects thought to have relations with al-Qaeda and the Taliban. The rules at the prison are that newcomers should be kept in almost complete isolation during the first weeks in order to put them in a state of “disorientation and disorganization.” Prisoners’ plastic cups should be confiscated after use in case something is written on them (a common method of communication between the prisoners). At the same time, according to the rules, all forms of corporal punishment in Guantanamo are prohibited. However, in the case of aggressive prisoners, there are instructions provided for the use of gas cartridges. Jailers are advised to aim at the eyes and mouth. The rules also state that some of the prisoners are forbidden from meeting with representatives of the International Red Cross, a policy that had long been denied by the military. Documents also exposed the incompetence and arbitrariness built into the system. Many prisoners held in Guantanamo were innocent people who ended up there by mistake – or because the US had offered substantial sums for capturing al Qaeda and Taliban members, even low-level recruits. Does the US control European leaders? On June 23, 2015, WikiLeaks published documents referred to as ‘Espionnage Élysée’, which showed that the NSA had spied on the French government, including, Francois Hollande and his predecessors Nicolas Sarkozy and Jacques Chirac. On June 29, 2015, WikiLeaks published a number of other classified NSA documents regarding France, which described in detail economic espionage against French companies and associations carried out by the United States. In July 2015, WikiLeaks published documents that showed that the NSA had tapped the phones of German federal ministries, including Chancellor Angela Merkel, for many years, beginning in the 1990s. Julian Assange arrested in London... who is still safe?